BSA | The Software Alliance serves as the world’s leading compliance and enforcement organization. BSA champions intellectual property rights of leading global software companies and helps them grow and expand the markets for their products and solutions. Our compliance and enforcement programs aim to reduce the use of unlicensed software by promoting the benefits of properly licensed software and providing tools and information to help end-users optimize their software environments. Our compliance programs engage and educate end-users on the benefits of properly licensed software and the legal and business risks, including cyber-risks, associated with unlicensed software use. We work closely with national and local government agencies around the world in a coordinated effort to change cultural perceptions among businesses and individuals about the lawful use of software. Through our collaboration with these agencies, media outlets, and local organizations, we reach millions of end-users in over 60 countries. We also educate and train the business community and IT professionals around the world on the ISO-aligned best practices needed to institute a robust Software Asset Management (SAM) system to increase IT efficiencies and reduce risks. Additionally, BSA has been a member of the International Organization of Standards (ISO) WG21 since 2008, the group tasked with developing the ISO 19770-1 standard. The only standard written to provide a management system for IT Assets including software. For more information on ISO visit www.iso.org. BSA investigates reports of unlicensed software use through a combination of internal resources and an extensive global network of law firms. The legal environment in each country determines the nature of the particular enforcement program and the type of actions taken. Unlicensed software is the installation or use of unauthorized copies of software. It can take many forms, including illegal distribution or unauthorized sale and sharing an activation key or credentials for web-based software. One of the most common types of unlicensed software use among businesses is under-licensing or installing software more times than the license permits. 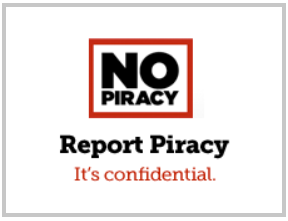 End-users can report unlicensed software use directly and confidentially to BSA through www.nopiracy.org. Report unlicensed software use directly and confidentially to BSA. © 2019 BSA | The Software Alliance. All Rights Reserved.